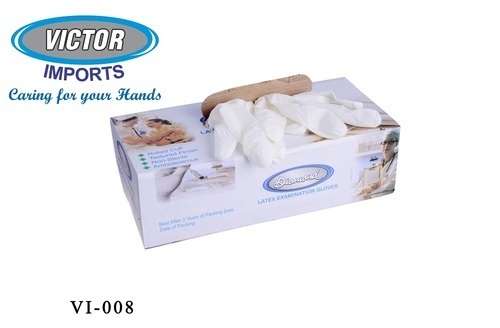 We are one of the leading importers & suppliers of Latex Gloves. We, Dahanu Rubber Gloves Mfg Co., established in the year 1992, are consider as a one of the eminent manufacturers and suppliers of the optimum quality of Hand Gloves. Our effective product range consists of Rubber Hand Gloves and Shock Proof Hand Gloves. To ensure highest level of quality, the offered hand gloves are manufactured under hygienic conditions by taking finest quality basic material. The offered hand gloves are designed under the assistance of skilled professionals in full compliance with the industry defined norms. Widely known for excellent finish and higher thermal stability, these hand gloves are used in various hard industries. Apart from this, we are offering all these products in a wide variety of stipulations to choose from. Our clients can avail these products from us at best market price. We deal in JYOT brand. We have been able to cater and manage the bulk demands of the offered hand gloves in the most effective manner, owing or our well equipped production capacity, broad distribution, rich vendor base and efficient working team members. We are offering these products to our client as per their requirement within the promised frame of time. Since our inception in this domain, we are offering quality approved products ranges to our customers. To satisfy our clients in best possible manner, we accept easy payment options such as Cash, DD and Online Fund Transfer.